WILLEMSTAD - The huge delays which the local airline InselAir is being confronted with is caused by the weather. This is according to a statement by the airline’s CEO Albert Kluyver. 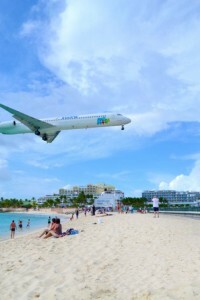 Flights to St. Maarten had to be canceled Monday because they could not land on the island. Yesterday this was the same case with the flight from Santo Domingo. According to InselAir, the flight to St. Maarten already took off. The delay in the flights to the Leeward islands, according to the airline, is still caused by a shortage of pilots for the Fokker 50. Therefore flights sometimes are combined and operated with and aircraft type MD80. In addition, flights to Aruba were also canceled on Monday.